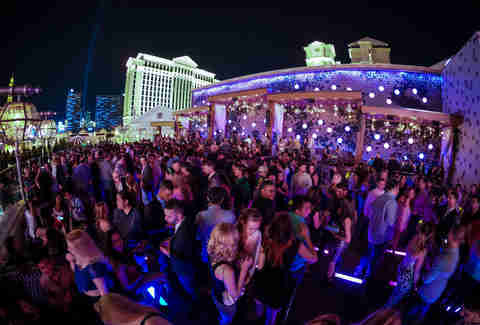 The three-level venue covers 75,000sqft and includes an outdoor terrace with a wide panoramic view of the Strip. 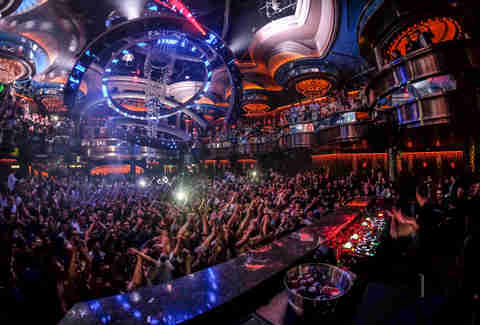 The club is so big it not only more than doubles the size of PURE, but it also takes over the former poker and World Series tournament rooms at Caesars Palace. 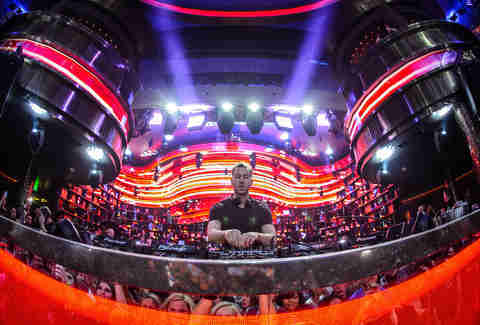 The main attraction here isn't the ridiculously high-paid DJs like Calvin Harris and Afrojack. 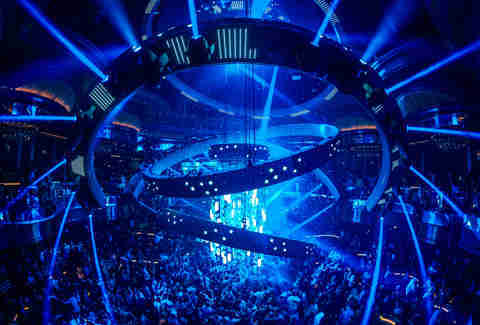 It’s the high-tech chandelier that is made from eight oval rings and hangs over the main room of the club. 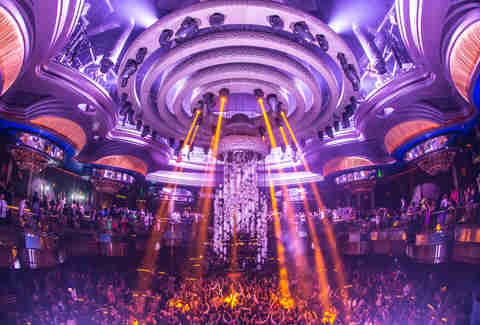 It’s truly insane and looks like a spaceship is landing over the dance floor. It's 22,000 pounds and moves at four feet per second. 3. It's not "made in America"
Granite and stone to build the club was imported from Spain, Italy, Hungary, Budapest, and China. Apparently there wasn’t enough quality rock here in the US, but the American economy will benefit from the money being tossed around for VIP tables. It’s at least a thousand bucks to reserve one. 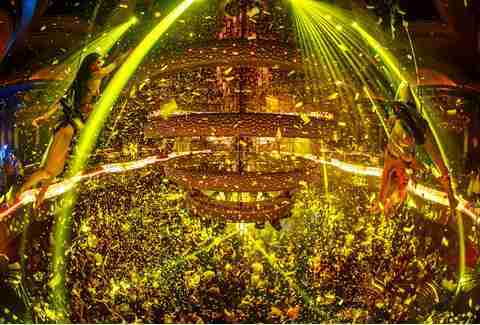 The Heart of OMNIA is a club within a club. Its where Justin Bieber celebrated his birthday after a long day of Selena Gomez jokes while taping his Comedy Central roast. He was joined by Martin Garrix who’s best known for “Animals” (that song you hear EVERY time you walk into a club) and for being 18 years old, which means he’s actually too young to be allowed in the nightclubs where he works… and has to be carefully escorted in and out of the booth every time he plays a set. … always. 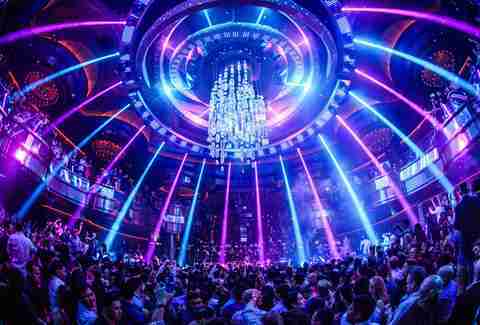 OMNIA makes the most of motion-detection technology with liquid-crystal display screens that react to people walking (or stumbling) by and if that wasn’t enough, that UFO/chandelier above the dance floor moves in sync with the music. Don’t worry. OMNIA won’t give you a free album that nobody wants on your iPhone. OMNIA was made with climate control in mind. The air conditioning system is state of the art and steady throughout the entire venue. It’ll keep your drinks cold while minimizing sweat on the dance floor. 8. Feeling romantic? Then head to the veranda. The terrace was inspired by A Midsummer Night’s Dream, Shakespeare’s play about fairies, hooking up in the woods, and a love potion. Keep in mind, any use of a "love potion" or any other drugs will get you kicked out of the club. So will wearing a shirt without a collar. 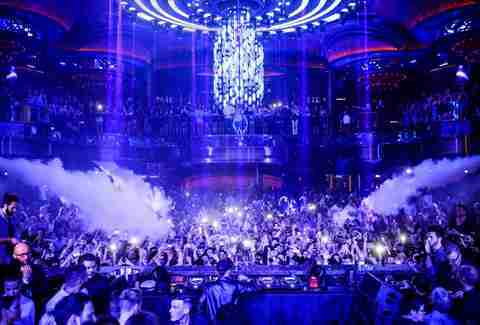 OMNIA is the only club in Vegas with L-Acoustics sound technology. Even the most monotonous thunk-thunk-thunk dance music can now be heard crystal clear. 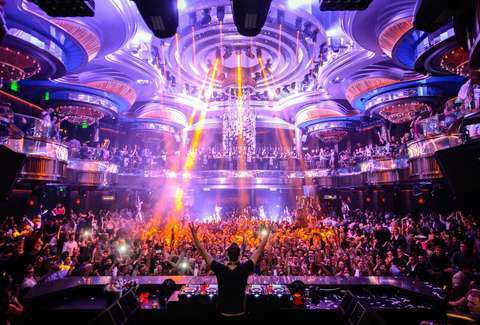 If house or hip-hop is more your thing, head over to Heart of OMNIA. It took 225,000 man hours to build OMNIA. 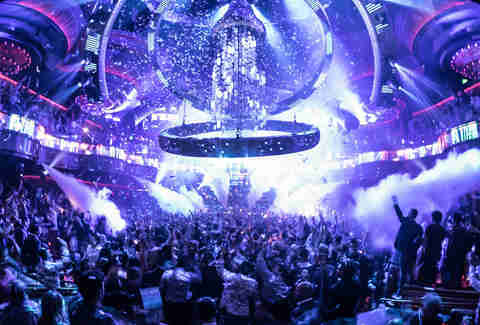 If we assume the average worker makes $15 an hour, that alone equals almost 3.4 million dollars... or the cost of bottle service for a typical night in Vegas.